How to adjust the backpack? Backpacking products are not any longer simple anymore as in the past days. In this modern society, a backpacking product contains all these elements, such as design, technology, and fashion. There should be a backpack in your daily life, no matter when you are a student or an office worker. But do you really know backpacks? And specifically, do you know how to adjust a backpack to make yourselves comfortable? Let’s get to know some knowledge about backpacks as follows. The structure and the function define the value of backpacks mostly, meanwhile, they also represent the character of backpacks. So when designing a backpack, it should combine the structure and function altogether, the main purpose is to make you wear the backpacks comfortably. 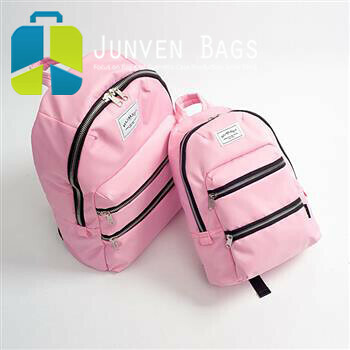 If you observe the design of backpacks, you will find that some backpacks adopt the design of double V. The inside double V backpack design is like this, the top is much wider and the bottom is much narrower. In this design and structure, it will be easier to load heavier things and enable you to carry it with ease. In addition, there is a special designed inside padding in some backpacks which have the factor of three adjusting hole sets, so you can adjust the size of loading through using the different hole sets. What’ more, you can also adjust your backpack up and down via changing the inside padding sets. Plus, you can also enlarge the capacity of your backpack through a zipper design in the backpack, it can increase space at any time to load large sized item when you need. What’s more, the method is very easy, you just need to undo the zipper and adjust the range of the loading area according to your own requirements. After reading this blog, do you want to learn more about backpack factory? Please contact us for further information.